The 28-year-old will become a free agent in June following a breakdown in talks over a new contract with Arsenal. 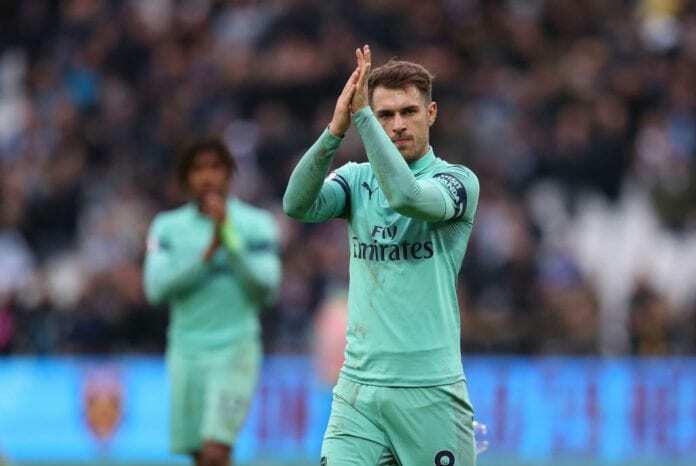 Now that we’re in January, Ramsey is free to begin talks with foreign clubs over a pre-contract agreement for next season with five European giants understood to be interested. Upon confirming their interest in Ramsey earlier this month, Juventus appear to have all but won the race for his services. Goal reports that the Wales international has completed the first part of a medical on Sunday in London and will soon put pen to paper on a five-year contract at Juventus. The Serie A champions will allegedly pay Ramsey an annual salary of €7m, with bonuses included, and are expected to meet the Welsh star’s agent, David Baldwin, in Milan this week to complete the deal. Back in London, Ramsey made a second-half cameo for Arsenal in Saturday’s 1-0 defeat to West Ham in the Premier League.